Services are scheduled for 10 a.m. Monday, Dec. 14, at First United Methodist Church for Olga Patricia Smith of Artesia. Smith, 88, passed away Tuesday, Dec. 8, 2015, at San Pedro Nursing Center. Monty Leavell will officiate at the services, with interment to follow at Woodbine Cemetery. Visitation will be held from 2-5 p.m. Sunday at Terpening & Son Mortuary. Pat was born July 3, 1927, in Birmingham, England, the daughter of Leslie Green and Edna (Woodhams) Green. On Oct. 29, 1947, she married Byron J. Smith in Gilmore, Texas, and the couple came to Artesia in 1951 from Clovis. She was a homemaker and taught horsemanship both privately throughout southern New Mexico and at the College of Artesia. 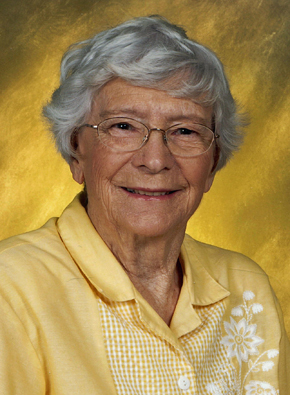 She was a member of First United Methodist Church and enjoyed knitting, bowling, line dancing, and was a very active person. Survivors include her daughters, Sue Smith-Fox of Hobbs and Maggie Murray of Santa Fe; sons John C. Smith of Artesia and Byron P. Smith and wife Angela of Graham, Texas; grandchildren Michelle Fox, Amanda Fox-Fisher and husband Damon, Jacob Smith, and Taylor Smith. She was preceded in death by her husband, Byron Smith, on Aug. 21, 1999; her parents; sister Audrey Willoughby; and brother Arthur Green.